Sr. Dr. LEUNG Tony Ka Tung holds a Doctor Degree of Philosophy in Business Administration, Master of Science in International Real Estate (Dist) from Hong Kong Polytechnic University and Bachelor Degree of Social Sciences (Hons) from the Chinese University of Hong Kong. He has over 35 years of experience in property/hotel industry through his prior employment with the Buildings and Lands Department of the Hong Kong Government, various prominent listed property developers and a leading surveyor company in Hong Kong. He is a registered professional surveyor in Hong Kong and Fellow Member of Hong Kong Institute of Surveyors and Fellow Member of Royal Institution of Chartered Surveyors, the Founder Chairman and Past President of the Hong Kong Institute of Real Estate Administrators, Member of Supervisory Board and Member of Audit Committee of Hong Kong Housing Society, Member of Appeal Tribunal Panel, Planning and Lands Branch of Development Bureau, HKSAR, Council Member and Panel of Experts of Planning and Development Division, Hong Kong Institute of Surveyors, Honorary Advisor and Mentor of Society of Business Administration, The Chinese University of Hong Kong, Academic Consultant of Macau University of Science & Technology, Assessor and Mentor of Royal Institution of Chartered Surveyors (HK Branch), Deputy Honorary Secretary and Founder Member of Hong Kong Professionals and Senior Executives Association, Visiting Professor of Overseas Education College Shanghai Jiaotong University, Member of The Chinese People's Political Consultative Conference, Xuhui District, Shanghai, Member of The Chinese People's Political Consultative Conference, Chongzuo, Guangxi, Council Member of Shanghai Overseas Chinese Friendship Association, Council Member of Shanghai Xuhui Overseas Chinese Friendship Association and Honorary President of Hong Kong Guangxi Youth Association. Mr. Tam holds a Bachelor Degree of Arts and a Diploma of Housing from the Carleton University in Canada and Hong Kong University respectively. He is a registered Professional Housing Manager since 2001, a chartered member of the Chartered Institute of Housing since 1990. He has over thirty years' experience in property management in overseas and in the private and public sector in Hong Kong and possesses the relevant experience in property management projects for various government departments. He joined the Company in March 2003 as Assistant General Manager and appointed as General Manager on 1 April 2006. Mr. Martin Leung holds a Bachelor of Commerce in Accounting and Finance from the University of Toronto in Canada. He has over 10 years’ experience in financial management, accounting, auditing, valuation in the real estate and life sciences sectors. He is a member of the Hong Kong Institute of Certified Public Accountants, The Institute of Chartered Accountants in England and Wales, Royal Institution of Chartered Surveyors and Hong Kong Securities Institute. He is also the Executive Director of the International Nature Loving Association Limited., Member of the Hong Kong and Jilin Youth Exchange Promotion United Association, Member of the Shanghai Xuhui Youth Federation and Founder Member of the Hong Kong Professionals and Senior Executives Association. Prior to joining the Group, he had worked at a leading international accounting firm for about 9 years and specializing in auditing, corporate finance and mergers and acquisitions. He joined the Company in April 2011 as the Executive Assistant to Executive Director. Mr. Yik holds a Master of Professional Accountancy degree from the Hong Kong Polytechnic University and he is fellow members of the Association of Chartered Certified Accountants and the Hong Kong Institute of Certified Public Accountants. Prior to joining the Group in 1994, Mr. Yik had worked at a leading international accounting firm for about 5 years and at an international construction company listed on the main board of The Stock Exchange of Hong Kong Limited for about 7 years. 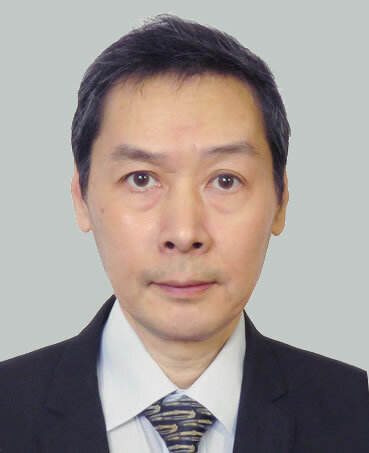 As present, Mr. Yik is General Manager of Ryoden Property Development Co., Ltd. and a Director of the Company. Mr. Yik has over 28 years of experience in financial and business management. Mr. Mung has been involved in construction management and project management of development projects for over 30 years. He obtained his professional membership of Chartered Builder from The Chartered Institute of Building (CIOB) in 1985. He joined the Group in December 1985 as Project Manager, and is responsible to oversee the development projects for our parent company, Ryoden Development Limited including high quality commercial buildings to deluxe residential houses. He was appointed as Assistant General Manager of Parkland in 2003 to provide support to the Technical Department. Mr. Mung holds an Associateship in Building Technology and Management, Master of Business Administration degree from the Hong Kong Polytechnic University, and Master of Science degree in Real Estate from the Hong Kong University. Mr. Mung is a Member of the Hong Kong Institute of Engineers (MHKIE, Building Discipline), Council and Fellow Member of the Hong Kong Institute of Real Estate Administrators (FHIREA), and the Chair (2017-18) and Fellow (FCIOB) of the Chartered Institute of Building, Hong Kong. Mr. Matthew Lai holds a Bachelor Degree of Hospitality and Tourism Management from Brigham Young University in Hawaii. Mr. Lai obtained a Master Degree of Housing Studies from City University in Hong Kong. He possesses many years experiences in property management of residential properties, commercial buildings and car parks. He joined Parkland in 2015 as Property Manager. Mr. Karson Chan holds a Bachelor Degree of Business Administration from Hong Kong Shue Yan University and a Professional Diploma in Housing Management from HKU School of Professional and Continuing Education. He possesses many years experiences in management of private residential estates, commercial buildings, industrial buildings and car parks. He joined Parkland in 2017 as Property Manager. Mr. Lam holds a Master of Arts in Housing studies from City University of Hong Kong and a Bachelor of Arts (Hons) in Business Economics from the Middlesex University of United Kingdom. He is a member of the Hong Kong Institute of Housing since 2015 and possesses many years’ experience in managing portfolios of various types of properties. He joined Parkland Property Management Limited in 2017 as Property Manager to oversee a portfolio of luxury residential and commercial buildings in Hong Kong Island. Mr. Sunny Ngan holds a Bachelor Degree of Hospitality Management from Hong Kong Polytechnic University. He possesses many years’ management experiences in hotel industry. Mr. Ngan also possesses over 20 years’ experiences in property management of residential properties, shopping arcade, commercial centre and government estates, as well as education institutions. He joined Parkland in 2018 as Property Manager oversees a portfolio of residential and commercial buildings in Kowloon and New Territories. Mr. Ng holds a Higher Certificate in Mechanical Engineering from University of Hong Kong Polytechnic in 1983 and is the Corporate Member of The Institutes of Engineers & Technicians of London. In 1971, Mr. Ng joined the Hong Kong Government and with the last posting in Housing Department as Building Services Inspector. In 2000, Mr. Ng joined the Company as the Assistant Manager (Maintenance) in handling of the maintenance works of all management contracts. Mr. Ng possesses very sound technical knowledge in technical fields, and remarkable experience in construction and maintenance works. Mr. Mak holds a Bachelor Degree of Business Administration from the Chinese University of Hong Kong and a Master Degree of Arts from the University of Sydney. He has more than　twenty five years' experience in human resources and administrative management in various industries and possesses the relevant experience in government department. Ms Leung is a member of the Hong Kong Institute of Certified Public Accountants and possesses over 20 years’ experience in the accounting field. She joined the Company as Accounting Manager in 1995 and in charge of the operation of the Company’s Accounts Department. She had extensive experience in handling the accounts of various government contracts which were awarded to Parkland in the past years.